● Jobs may be posted as “Design Contests,” open calls for a single design; or as “Freelance Jobs,” portfolio calls for a project or series of projects. The baseline posting fee is $30 for a Design Contest, and $10 for a Freelance Job, and the budget is deposited in advance. ● Coupons will frequently offer discounts on posting fees, which may range from 15% off to completely free. ● DesignCrowd’s Money Back Guarantee will refund your budget within 30 days if a project is unable to be completed to your liking. 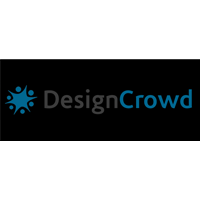 DesignCrowd gives you the ability to connect to a wide variety of designers, in order to realize the final results for your particular project. This unique website gives you the ability to browse an array of categories, designers, and jobs, in order to find the solution you are looking for. You can get started in a matter of moments, and you even have the ability to establish and stick to your own budget. Whether you are a designer along the lines of graphic, web, logo, or anything else, or if you are someone who is looking for a creative design professional to help you, DesignCrowd can provide connections and information. For most up to date offers check out Designcrowd on Facebook and Twitter or contact Designcrowd Support for any questions.